Yost most certainly had everyone’s attention, but her proposal is much easier said than done. Her proposal features a hurdle which is insurmountable – in the state of Maine municipalities cannot impose a tax on bags. If the town attempted to make a law involving the tax it is likely legal action would be brought against the town. Since there is no prior precedent it is anyone’s guess which way the ruling would go, but there is a very high chance the entire law would be ruled against. That would mean no plastic bag ban and no tax on paper bags. Attempting to levy a tax is risky and could end up costing the town a substantial amount in legal fees. There are currently no plastic bag bans on the books anywhere in the state of Maine, so this situation is groundbreaking. The Windham Council officially rejected the plastic bag ban and paper bag tax, but they have asked Town Manager Tony Plante to draft a resolution to encourage the state to consider the ban, as well as asking for support from other politicians and nearby communities. Plante’s proposal asks local retailers to stop giving out disposable bags and to encourage shoppers to use reusable shopping bags. The proposal also goes on to ask local legislatures and other municipalities to support a statewide ban. “The idea is to embody a lot of the features and principles that were in (Sierra’s) proposal,” said Plante of his own proposal. What is so great about this turn of events is that the Town of Windham is going straight to the top and attempting to ban bags in the entire state. While many cities and municipalities across the country have plastic bag bans in place the specifics are always a little different and the final version of the law is ultimately influenced by the local authority and structure of the government branch passing the law. While plastic bag bans are definitely a step in the right direction a disadvantage to this setup is that neighboring towns may both feature bans, but the bans can be different. This can be a hassle and cause confusion for people who travel and shop outside of the cities and towns in which they live. The beauty of a statewide ban is that the rules are the same throughout the entire state. Shoppers do not need brush up on the laws if they travel to other areas and retail chains do not need to impose different rules in different stores. One law that covers the whole state increase the environmental impact of the ban and reduces the headaches felt at the local level as individual towns try to pass their own bans. Sierra Yost is disappointed in the path the Town Council has opted to take. She wishes the proposal had been passed as she presented it because she feels that if the town of Windham passed this ordinance it would inspire other towns to follow suite. Yost should be proud of her actions. Things may not be going exactly as she wanted them to, but she is seeing quick and responsive action to her proposal. 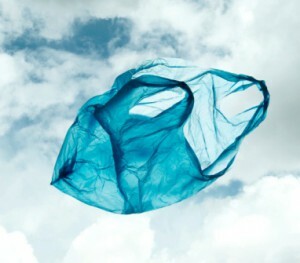 In the span of about one month the idea of a plastic bag ban has gone from being presented at a Town Council meeting to being drafted into a resolution about to be presented to the state legislature. This is huge. In about six weeks Yost has accomplished what it has taken others years to achieve. There is a viable chance that a statewide ban will not be made into a law right away, and realistically it could be years before such a law becomes a reality, but just starting the conversation is a big success. Yost has created a stir and has gotten people to think about the damaging effects of plastic bags and the virtues of reusable grocery bags. That is a big accomplishment and Sierra Yost should be proud and motivated to keep pushing to make the world a better place. To learn more about Sierra Yost and her hometown of Windham, Maine go to http://www.pressherald.com/news/windham-to-consider-plastic-bag-resolution_2012-05-21.html.